Purchase insurance protects many of your purchases for 180 days. The insurance will help to reduce losses in the event of inadvertent damage or loss of the item. The purchase must be paid for by card or by a transfer from the credit card account. The insurance applies to purchases in Lithuania and abroad as well as online. Choose a credit card and order. Repayment of limit as monthly payments. Lower taxes than other credit cards. Extensive travel insurance package for the cardholder and his family. Priority Pass card provides the opportunity to visit VIP lounges at many airports around the world, and by selecting an additional package of services, for an annual fee you can visit the waiting rooms indefinitely without additional payment! The best travel insurance of Swedbank for the whole family. Possibility of automatic credit repayment. Classic and Gold credit card travel insurance conditions have changed as of 1 February 2019 – the clause of payment of travel expenses has been abolished. It means that credit card travel insurance is valid if you have a valid credit card agreement. You can find insurance terms here. The insurance cover remains in effect 180 days from the date of payment to the seller. Purchase insurance is a great service that is available to Swedbank credit card holders. The purchase insurance cover automatically applies to any items purchased for your personal use or for the needs of your family/home provided that you pay with your credit card. The insurance becomes effective immediately from the moment of collection of the item and remains in effect 180 days from the date of payment to the seller. 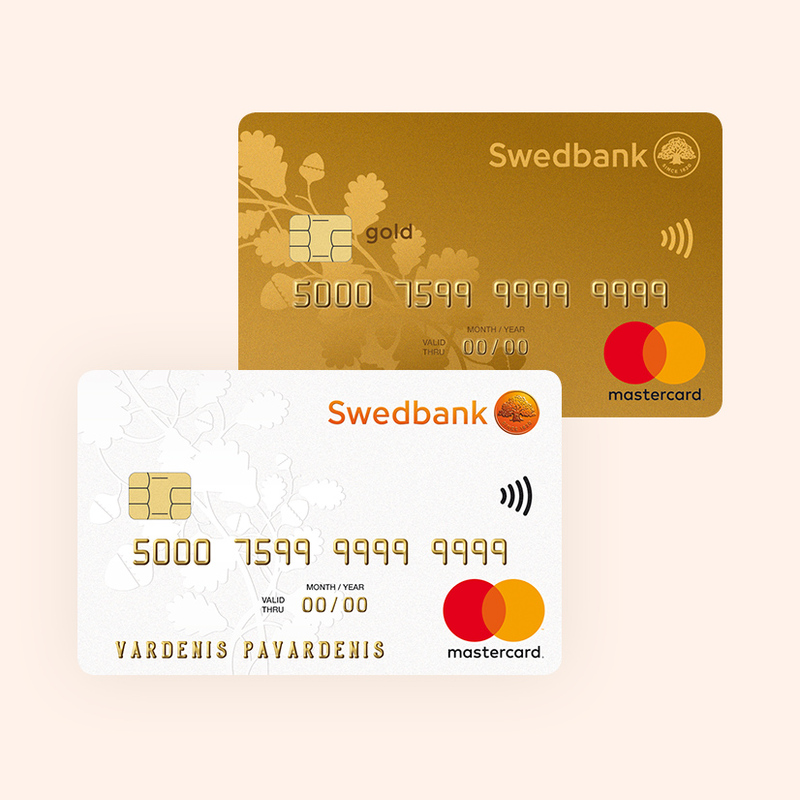 Items purchased on Swedbank’s Fixed Payments, Classic, Gold, Platinum or Visa Private Banking (VIP Platinum) credit card or (new!) purchased by transferring money from the card‘s account. Contraband goods and other illegally acquired goods. * Includes any computer components, parts, external equipment and software that cannot operate without a computer (e. g. desktop computers, monitors, keyboards, mouses, software, printers and other computer components). How does purchase insurance work? you have to report the event to the police or another law enforcement body immediately. Obtain a document evidencing the event and your loss. If the insured item was damaged, broken etc. Register the event and make sure that you have all the requisite documents. Complete the Damage Report Form. Deliver the documents to Swedbank‘s branch by hand. The insurance company‘s representative will inform you about the decision on indemnity by phone or in writing. The insurance indemnity will be paid within 30 days from the date of receipt of all the requisite documents.